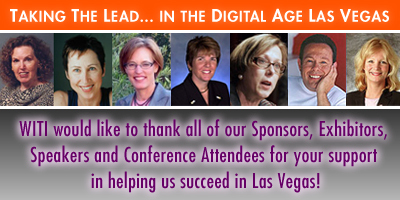 With 750 attendees and over 25 breakout sessions, the WITI Taking the Lead in the Digital Age conference, July 9 - 11, 2006 was jam packed with great information, outstanding networking opportunities and fascinating key note speakers. Cindy Solomon offered a very energizing and informative key note speech entitled, CREATING A CULTURE OF COURAGE: THE NEW LEADERSHIP CHALLENGE. Reinventing Yourself is an "Inside Job"
If I asked you if you had ever reinvented your life, what would you say? My experience is that most people say "No" unless they have gone through a drastic career or relationship change, or are in recovery from a major addiction. They apply a stringent criteria of "drama-required" when assessing their own changes or the changes that others make. Unless a change is observable and dramatic - for example a software programmer becoming a trapeze artist or a senior manager chucking a promising career to start a bed-and-breakfast - it doesn't "qualify" in most people's book as a reinvention. I fundamentally disagree. Desperate to find the right job, but don't know where to turn? You have the skills, but you don't know how to capitalize on them? You took all the right classes and got all the right certifications, but you still can't catch a break. All you want to do is get your foot in the door, an opportunity to prove yourself. You interview but you still don't get the dream job. You feel stagnant, as if your career is going nowhere fast. Well join the majority of women in middle management positions. You're not complacent. You're stuck! 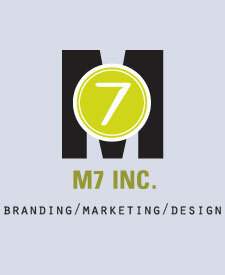 M7 Inc. is an award-winning marketing/design firm that creates marketing and sales tools for high-tech companies. For over a decade, M7 has provided effective print, multimedia and web design solutions for clients ranging from small start-ups to large corporations. Some M7 clients have included: Sony, SanDisk, Brocade, Fujitsu and over (100) startups. July 29 - August 3 in Las Vegas, the world's premier technical event for IT security experts. Featuring 36 hands-on training courses and 75 Briefings presentations, networking opportunities with over 2,500 delegates from 40+ nations. WITI members receive a $100 Briefings discount by inserting BH06USAASSOC in the box marked "Coupon Codes" on the web registration page, shown on the final invoice. Early bird deadline is June 30. For more details, visit www.blackhat.com. WITI's Annual Summer Networking Social! SVASE August 06 MAIN EVENT: Raising Capital For Early Stage Tech Companies - The Definitive Crash Course!